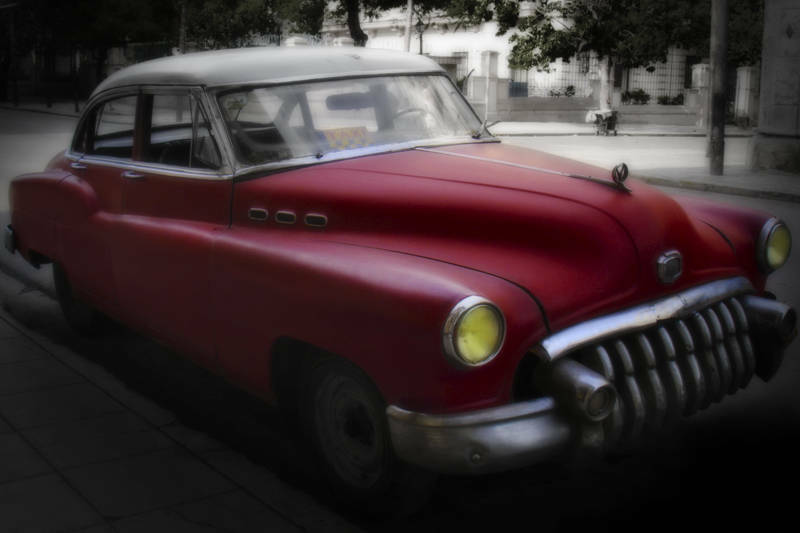 Karen shot this 1950 Buick on the streets of Cuba. To process the image I used a similar technique to Cuba Chevrolet. I started by using the Orton Effect to give it a bit of a glow. I worked on the dusty red colour. Then I desaturated the background and darkened the edges with vignette. It gives it a bit of an unreal toy-town kinda look. I was inspired by this post. nice! like a still from a game. Really nice Orton effect, great rendering of the initial colors Jason. Well done. Happy to see you again.